The province of Ontario is looking for some fresh ideas for the Ontario Place development. What do you picture being at this site? The goal is to transform Ontario Place into a year-round attraction for local and international visitors. The Ministry of Tourism, Culture and Sport, and Infrastructure Ontario will be releasing an Expression of Interest this spring, which will be the official opening for concept submissions. "We're going to bring Ontario Place back to life and make it a spectacular world-class, year-round destination to visit in North America," says Michael Tibollo, Minister of Tourism, Culture and Sport. "Our vision for Ontario Place will make it an impressive attraction that could include exciting sport and entertainment landmarks, public parks or shopping. We could also have places for recreation, for people to come together and to hear great music at the existing amphitheater." With 155 acres of land and water to redevelop, the possibilities seem limitless, but don’t start dreaming about living at Ontario Place because it doesn’t seem like that will be happening any time soon. The province is not open to selling the land and no residential concepts will be considered. That means no rentals, no affordable housing, no luxury condos, no residential at all. We can’t find an explanation on the province of Ontario website for why residential development isn’t being considered. 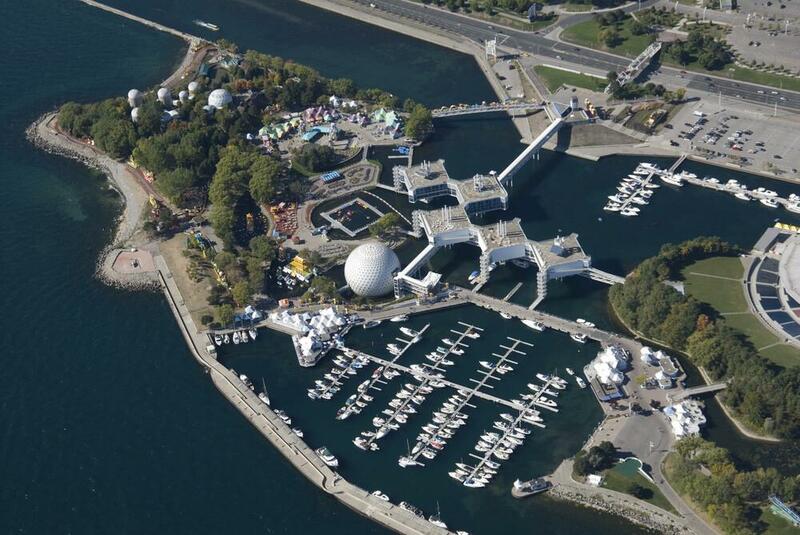 The areas of Ontario Place that are available for development include the islands, the mainland, ponds, and Cinesphere. The Budweiser Stage will remain because it is subject to an existing lease. There are a few other parameters to make note of: the concept can be for the entire site or just part of the site, the government plans on maintaining 7.5 acres of parkland, and basically no funding from the government is being offered. The province says that “Proposals that require capital investments for planning, design or construction from the province will not be considered, proposals that require operating grants from the province will not considered.” And the development will be through ground lease arrangements. We typically want to see new housing development whenever there’s an opportunity, but since that’s not permitted, we have a few other ideas, like a giant, all-season obstacle course, or perhaps a sports world showcasing retail and events for Toronto’s amazing sports teams. And dare we say, there’s always the chance that this is Doug Ford’s way of realizing his dream of a ferris wheel and casino on the waterfront.